When you think of an Atlantic City casino, long gone are the days when you immediately imagined the Trump Plaza or perhaps even Tropicana. In fact, the Trump no longer exists. In its place as the crown jewel of Atlantic City is the Borgata. Borgata threw caution to the wind and banked on the power of their brand in 2013 when, together with their partner PartyPoker, they become one of the very first legal online casinos to operate in the state of New Jersey. Since then, Borgata online casino have become the market leader, attracting huge amounts of traffic to their site on a daily basis. Today we will be taking a closer look at the MVP of online casinos in New Jersey as we try and dissect what got them to the very top of a hyper-competitive market. An online casino is only as good as its library of games. While this is a massive generalization and there are several factors that contribute to the overall success of an operator, their selection of games plays perhaps the biggest role as it is what attracts most first-time players to the site. 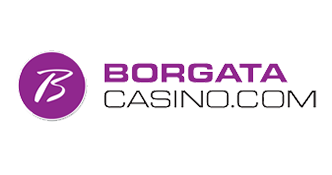 As you would expect from the biggest name in online gambling in New Jersey, Borgata has several slot games that can only be found on BorgataCasino.com. Borgata is offering all players who sign up a 100% match of their first bonus all the way up to an initial deposit amount of $600. This means that you decide how big you would like to make your bonus. If you choose to make a first deposit of $10, the house will give you an additional. If you make a first deposit of $300, you will receive a bonus of $300. This applies all the way up to a maximum first deposit amount of $600. Sadly, this is the most you will receive as a bonus, even if you make a first deposit of $10,000. It is worth noting that players only have a maximum of two weeks from the day they register to meet the minimum wagering requirement. Players should also note that they will only be able to meet the wagering requirement through playing classic and progressive slots. While this restriction may devalue the bonus amounts of the promotion since slots don’t offer as high a payout as video poker or table games. Overall, this should not stop you from taking advantage of the offer. Every player that registers on BorgataCasino.com automatically receives a free No Deposit Bonus $20. 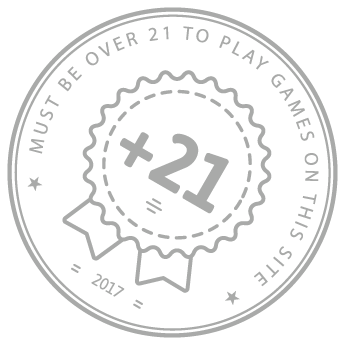 Essentially, as long the play enters the above bonus code, they will receive the $20.This amount can be used to play any games found on the site. The same restrictions we previously listed under No Deposit Bonus also apply here. Borgata Online Casino offers players a choice between an Android and iOS based app for their smartphones or tablets. Overall, the app seems to be scaled down version of the full desktop site, giving players access to 20 games compared to that of the 85 available from BorgataOnline.com. These games include blackjack, video poker, roulette and jackpot slots. It can run on both WiFi and 4G with minimal interruptions. While we wouldn’t recommend this app over the desktop version or even app offerings from Borgata’s many competitors, it is a viable solution for dedicated players who can’t access the full site. BorgataCasino.com is fully deserving of its enviable reputation thanks to New Jerseys’ largest selection of slots. However, if they wish to maintain their hold on the market, they definitely need to up their game when it comes to both Table Games and Video Poker games.